Protecting, securing and monitoring potential threats to our networks has never been more important. Cyber Security Technology has made vast improvements focused on securing our data from attacks. However, a significant section of the network is often overlooked in our cyber security programs—the OSI Layer 1 Physical Infrastructure. Global Com is a certified integrator of the only patented Infrastructure Cyber Security Solution which provides a DoD certified layer 1 security solution. This technology was developed for US Government and DoD to defend and protect networks from physical attack. CyberSecure MPS™ addresses the underground critical infrastructure pathway vulnerabilities by providing 24/7/365 intrusion detection monitoring of manholes, handholes and communication junction sites using zero-power fiber optic sensors. 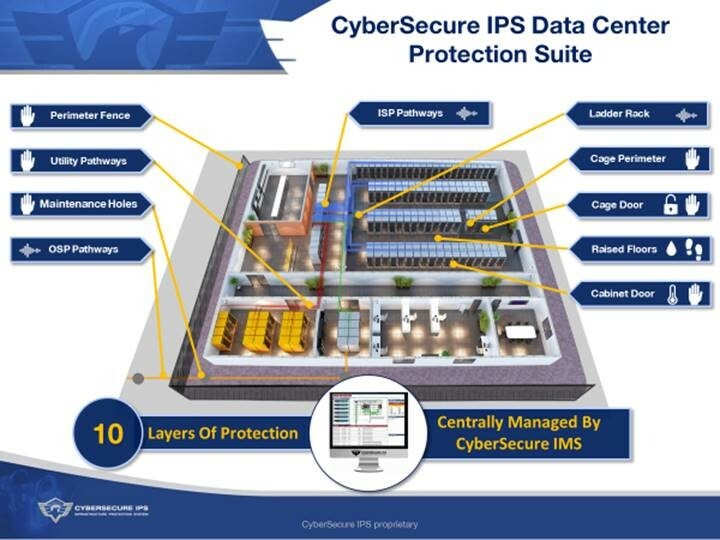 The CyberSecure MPS™ hardware controller (1, 4, 8 and 16 channel ranges, capable of supporting up to 800 sensors per controller) monitors CyberSecure IPS’ Universal Cyber Sensor™ and is managed by CyberSecure IMS™ (Infrastructure Monitoring System). CyberSecure IMS™ is a U.S. Government accredited alarm / dispatch management software currently deployed worldwide to manage the protection of classified communication networks. CyberSecure IMS™ automates intrusion alarm dispatching, controls case management, provides detailed maps of every manhole and handhole, and seamlessly retrofits into existing systems.